Here is my advice on what to buy. The 055 is sturdier, heavy, and taller than the 190. Both models allow you to remove the middle pole and mount it upside down or horizontally. If money is not a factor, look at the same models made from CARBON(055MF4 or the 190 CF). They are twice as expensive but since they are made from carbon they are lighter weight and just as sturdy. If you just want a basic head, for the extra $15, buy the 484RC2, which has a plate that stays on your camera and allows you to quickly attach and detach it from the tripod. The joystick is the coolest head available. To move it, you grip the joystick and let it go when it’s positioned where you want. The 322 is similar but is a bit more compact. ← Want to Share Your Love of Photography with Others? Join a Camera Club! thats just a horrific scene right there. 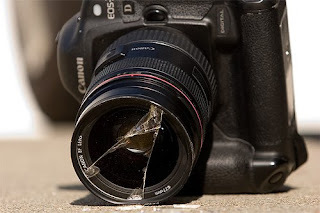 I just hope thay wont happen to my camera.